As a personal health & fitness expert, you always try to find ways to escalate your customer reach and improve your online sales. SimplyLoose offers you to train more customers and streamline your online health and fitness training business that increases efficiency & customer retention, it is now possible to take your brand to the next level through a Custom Branded App and grow your online health and fitness training business. The new Custom Branded Health and Fitness Apps are branded mobile apps powered by SimplyLoose that are custom branded on first login to the main SimplyLoose App (Android/iOS). One of the key ways we’ve made our Custom Branded Apps even better with this new version is by opening them up as an add-on available to all Basic, Professional, and Enterprise plans. 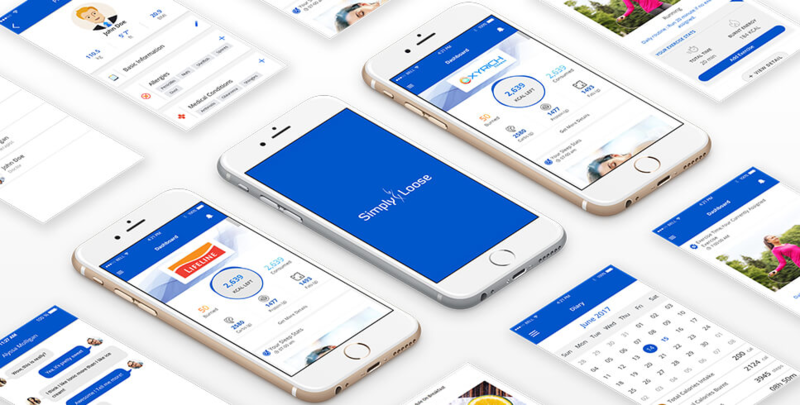 We want to give every expert the opportunity to grow and manage their business with SimplyLoose by providing their customers with the personalized experience of a Custom Branded App. With a professional custom branded app, experts - from the most established professionals to the freshest faces in the industry - can now gain market traction by boosting brand identification and exposure. It provides a streamlined and accessible channel for your customers to buy services from your business. Here’s how a Custom Branded Health & Fitness App helps to improve sales & customer retention and take your business to the next level. Acknowledge the high level of personalization customers receive, as they pay good money for your both in-person and online services. Also, give them a custom in-app experience. Custom Branded Health & Fitness Apps provide the perfect blend of all the SimplyLoose training and customer management features you like, and your own company branding so you can continue to deliver training with an additional accountability. Brand exposure refers to the extent to which customers are able to recognize a brand. 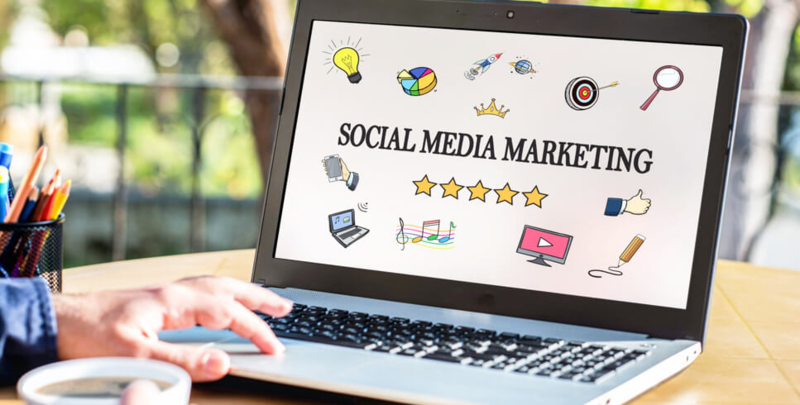 Key Success Factors of any brand are a key consideration in consumer behavior, advertising management, brand management and strategy development. The consumer's ability to recognize a brand is central to purchasing decision-making. If you believe all the key considerations, you'll wish to have brand identification. If customers choose your brand over the competition’s, you win the game of business. The more your target audience comes across your brand, the more likely potential customers are to identify and understand your brand. A brand is a set of expectations, memories, stories and relationships that last, taken together, account for a customer's decision to choose your product over another, so if they are passionate about your brand, they’re more likely to trust your products and services well and are hence more likely to buy training program from you. Custom Branded Health and Fitness Apps let you start building your brand exposure and identification with your current customer base by putting your brand in the pocket and hands of all your customers. A Custom Branded Health and Fitness App is the perfect way to encapsulate already established reputation of any seasoned personal trainer with multiple customer base. With your custom branded app, you can proclaim your level of success by providing your customers more access to your business directly from their smart phones. Even if you're new, less experienced trainer or less established than others in the fitness industry, making your business appear across professional - a Custom Branded Health and Fitness App can have the same influence. At present, businesses of all kinds, whether small, medium or large are taking advantage of the custom branded business apps as it helps them stay competitive and increase productivity. Custom Branded Fitness App gives your customers personalized experience. It allows to address a particular audience rather than providing a solution which caters to a large group with varying requirements. For customers testing out different fitness experts, the personalized feel of a custom branded app may be what gives you a benefit over the competition and helps them choose to train with you. Mobile apps reinforce your brand by increasing your visibility. An app gives a business more presence on a phone than a browser bookmark does because it is always visible on the phone's screen. To develop custom built as a stand-alone app costs a lot of money and takes a lot of time! The mobile app development is a multi-stage process. Each stage requires specialization, plus multiple tests to ensure quality and functionality. From the conceptual stage and original specs to the mock-ups, design, testing, and app store approvals, it requires the hours and dollars to build an app. It makes good economic and technical sense and saves you a lot of time and money by customizing an app that already exists to serve your needs, rather than building it all from scratch. Use our app with your branding and minimize your hassles and increases efficiency. 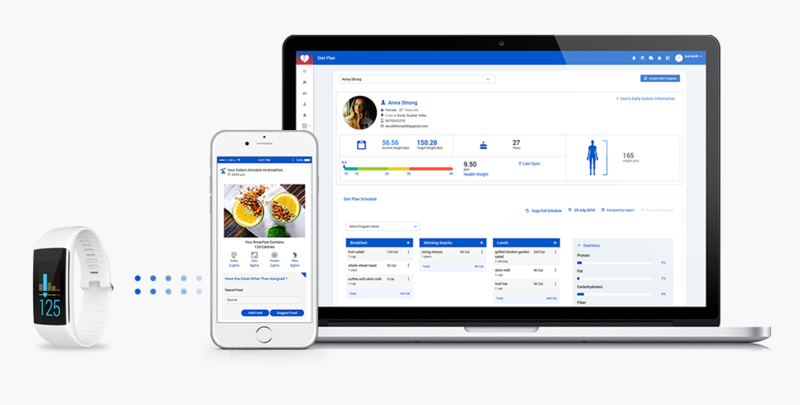 All updates to SimplyLoose are included in every Custom Branded Health and Fitness App, so you’ll always have access to the latest version of SimplyLoose. SimplyLoose Custom Branded Health and Fitness Apps are perfect for any fitness expert, new or experienced, looking to take their fitness business to the next level. Setting up your custom branded app is quick and easy, available to all fitness experts on all Basic, Professional and Enterprise plans. You provide your brand logo and information, and SimplyLoose takes care of the rest - all for a small one-time fee. You’ll receive both an iOS and Android version of your custom branded app, and we’ll even handle all on-going updates to your custom branded app at no extra hidden charges. We’ve made Custom Branded Health and Fitness Apps a cost-effective business solution as part of your SimplyLoose plan. Project your brand and your business with a custom branded health and fitness app today and you could exponentially increase your lead over your closest competitors.